Don Welch’s hopes of making it third time lucky in his quest for a national title were dashed at the first hurdle last Friday. The Melton Indoor Bowls Club member had qualified for the final stages at Nottingham and met Rick Gallagher, from the Cumbria Club in the last 16. Don had reached the semi-finals on his last appearance at the finals three years ago at Melton, and the quarter-finals on his first attempt. But the Rothley bowler saw his ambition of going one better ended in the Friday afternoon match when he was pipped 21-19. There was some consolation for the 74-year-old after helping Melton reach the county triples final last Thursday. Don, playing alongside Mel Bass and Chris Rodgers, came up against the Leicester triple of Alsop, Pitts, and Evans in a home semi-final. 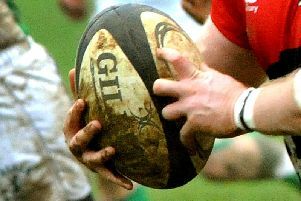 They recorded a comfortable 23-13 win to book their place in the final.